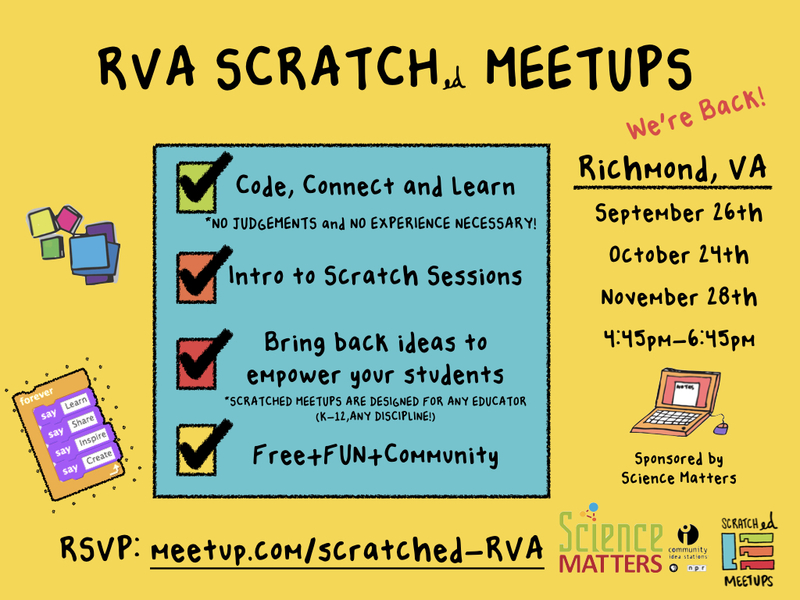 What's a Scratch Educator Meetup? Scratch: a free tool (http://www.scratch.mit.edu/) for exploring computational creativity by programming interactive media (like stories, games, animations, and simulations) and sharing those creations with others online, used by millions of people all around the world. ScratchEd Meetups are peer-designed professional learning experiences inspired by the un-conference model. This means that at any given event, you decide what your learning looks like! At a Meetup, you can share, create, and learn with other educators who are also passionate about teaching with Scratch in the classroom. Anyone who is interested in connecting with fellow educators and learning more about using Scratch in educational settings is welcome to participate. Want to join in the fun? Register here!